"Let's get out of this town, drive out of the city, away from the crowds." That is basically what Dan and I did at the weekend. 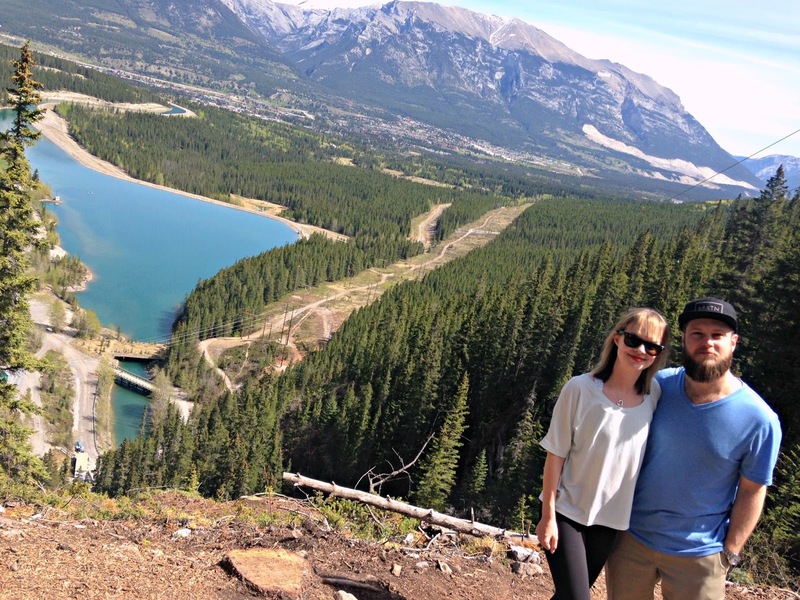 In Calgary, we are so lucky to have the beautiful world famous Rocky Mountains in our backyard and Dan and I need to start taking advantage of that more. We were both feeling a little burnt out last week and decided to book a last minute weekend away to Canmore, a small mountain town just 45 minutes outside of Calgary. 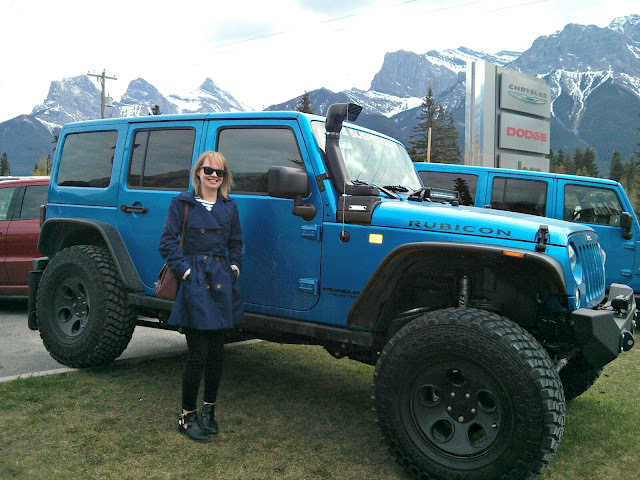 The drive out to Canmore is one of my favourites. The scenery is absolutely beautiful, there is mountains and emerald water all around. On a small island in one of the little areas of water, there is a strategically placed picnic table and chairs with a Canadian flag. Dan and I always say that we need to go out to it as it is so cute. We stayed at the Falcon Crest Lodge in a one bedroom suite. The suite was lovely and had a kitchen, living room, one bathroom and one bedroom. I didn't take any photos of our suite but I did take these beautiful photos above from our balcony. How amazing was our view?! The staff at the lodge were really friendly and there was great amenities such as complimentary DVD's and blue-rays and also hot-tubs. 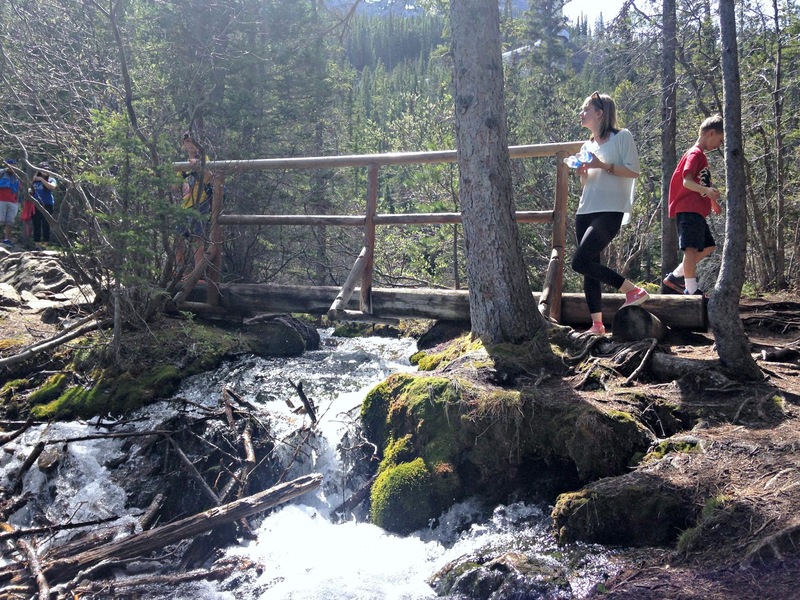 On Saturday night, we went out for a walk in Canmore and we saw loads of tiny baby rabbits! When I say loads, I mean it, they were everywhere! 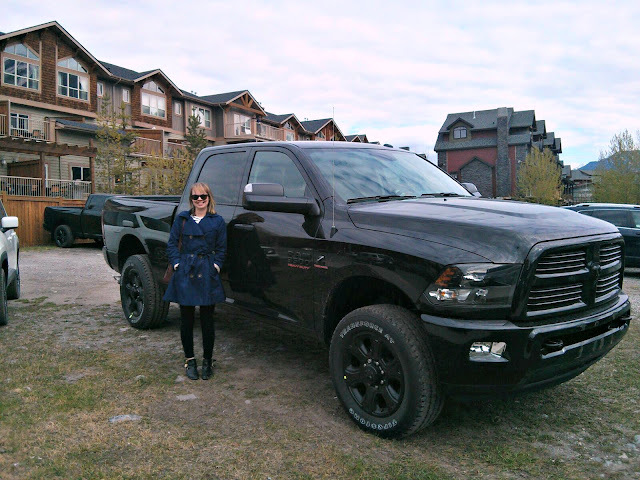 Of course, I also had to take my photo beside two of the ridiculous sized trucks that we saw. These aren't unusual sized trucks to see in Alberta, they are crazy! I would need a ladder to get in and out of them, haha. We walked down the main street and went into some of our favourite stores. 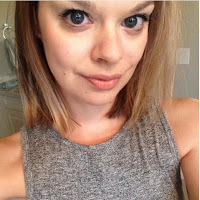 There is an amazing rock and gems store and they have real fossils which I find fascinating. Another favourite store is The Spirit of Christmas - it is an all-year-round Christmas store. We went to a favourite Greek restaurant of ours called The Balkan. They do the most amazing hummus and tzatziki dips! I had the baked salmon which I have had before, the recipe had changed and I didn't like it as much as the old recipe. Dan had the seafood stew which he enjoyed. My favourite part of the meal was the sangria, haha. I don't like wine but when it is in sangria, it is good! 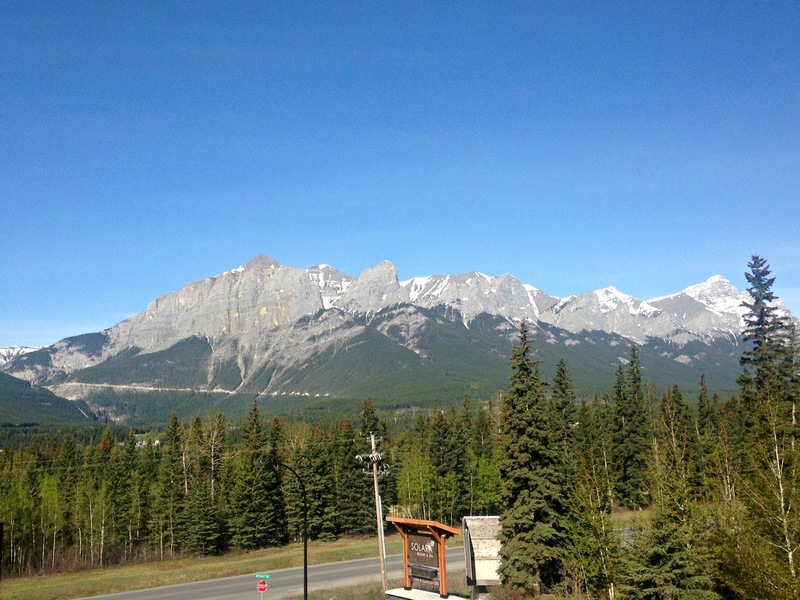 On Sunday morning, we stopped off at our favourite breakfast spot in Canmore, Rocky Mountain Bagel Co. I have so much love for this place. The queue is always out of the door but it is worth it. Even when we went at 11am the queue was really long. We had the "traditional" open faced bagel: cream cheese, salmon, red onion, capers and lemon. Two other favourites of mine are the "amigo": egg, green pepper, tomato, onion, cheddar, salsa and cream cheese and the "breakfast lox": salmon, egg, mozzarella, lemon and cream cheese. All of their bagels are homemade and they are so delicious. I also had my favourite drink, a London Fog, and we also shared one of their granola bars...their baked goods are also amazing. After breakfast, we drove out to Grassi Lakes, a really nice walking area. On our way there we saw some Mountain Goat. Seeing animals like that in the wild is one of my favourite things about Canada. 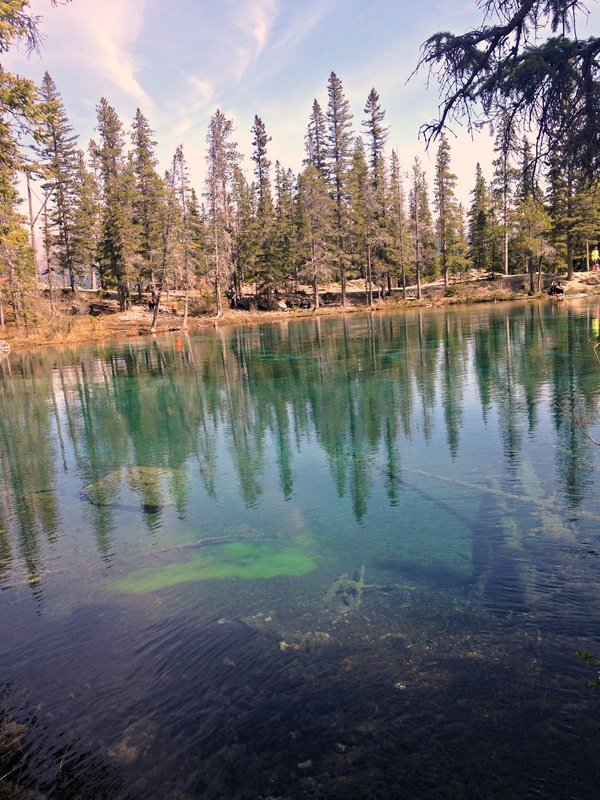 I hadn't been to Grassi Lakes before but is really is breath-taking, full of forest and more emerald water. 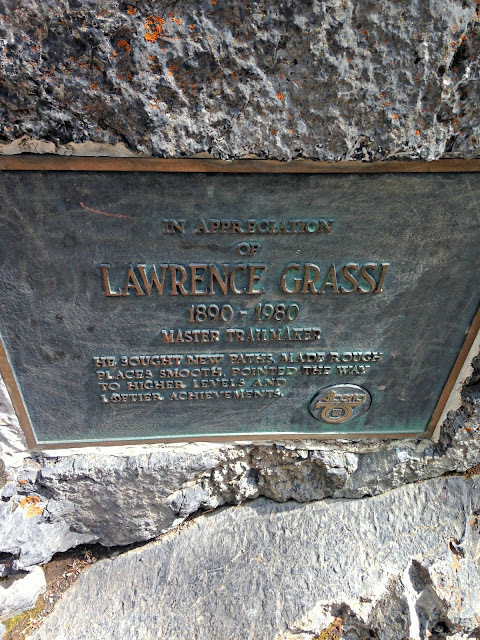 Grassi Lakes are named after Lawrence Grassi, a miner who became a climbing guide and built the trails in the area, and I am so grateful that he did. They really are something special. 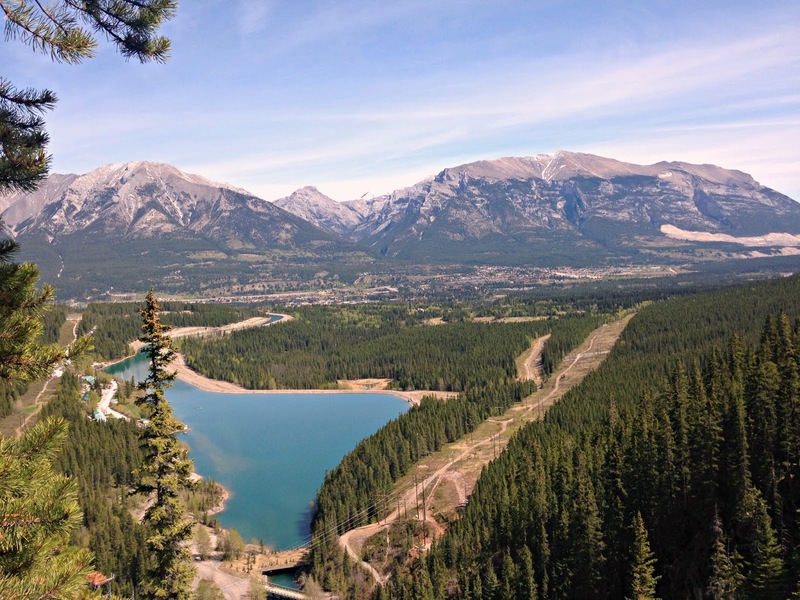 The views from above at Grassi Lake really are something else (look at them)! They really are like something you would see on a postcard and I think they are some of the most amazing views I have ever seen. 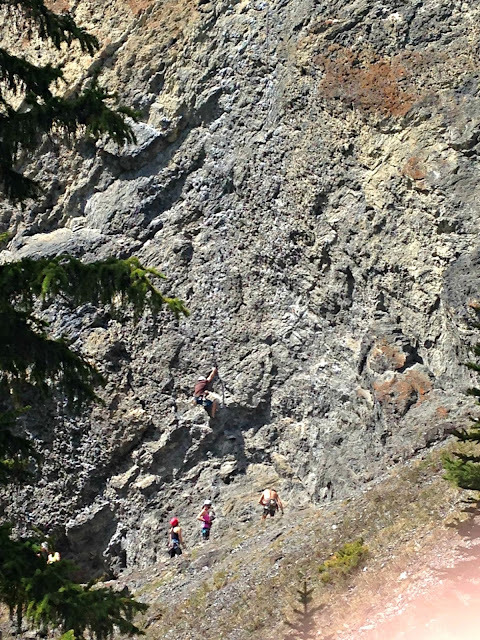 We also saw some rock climbers in the Grassi Lakes area. They are fearless, I could never do that. The mountain is huge! It was really interesting to watch, and there was more than one group of people doing it. According to Wikipedia, the mountain they were on is 246ft high! After sitting by the lake, we walked down towards the waterfall. It was really nice and I love the sound of the water falling, it is so relaxing. Our hike ended and we drove back into Canmore for one more stop at Rocky Mountain Bagel Co for an iced coconut latte before heading home. 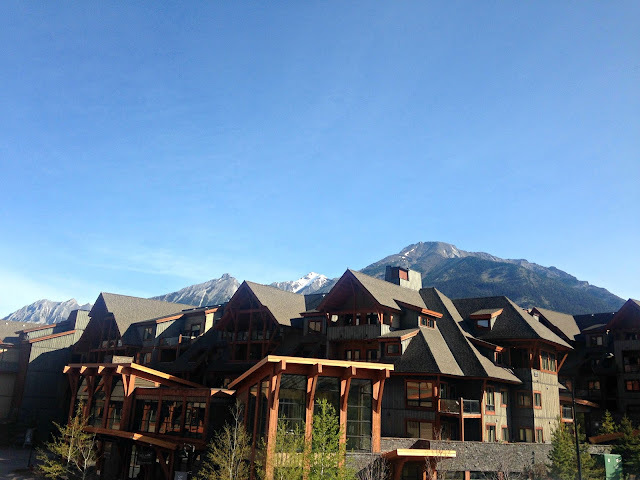 Have you been to Canmore or Banff before? How do you like to spend your time outdoors?